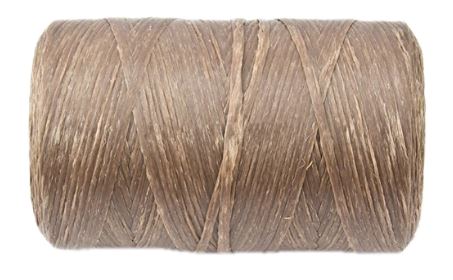 Artificial sinew is an excellent choice for crafts that need a waxy and strong material. Some popular crafts that use artificial sinew are gourd pine needle rims and gourd bead baskets. Also called fake sinew, imitation sinew, and simulated sinew. It is much more uniform than natural sinew and can be cut to any length.